A huge number of the Indian youths dreams of cracking the Civil Services Exam (and that too, in the first attempt itself!) year after year! Many aspire to crack the UPSC Examsoon after they graduate and attain the age of 21 for these are the IAS Exam eligibility criteria to appear in the exam. However, the sad and bitter truth is that not everybody is able to clear the UPSC Exam. It is so because the UPSC Exam preparationis not everybody’s cup of tea. However, everybody aims at reaching the sky! Most of the candidates aspire joining the IAS that requires clearing the exam with the highest ranks. For the majority of the aspirants, the UPSC Exam is almost synonymous with the IAS Exam. The majority aims at joining the Indian Administrative Services rather than IFS and/or IPS, though exceptions might be there. So, needless to say, the aspirants ambitious enough to join the IAS must be fully aware of the strategy they need to opt for the UPSC Exam preparation. And as already said above, the majority wants to join the IAS, they must be absolutely aware of the dos and the don’ts while preparing for the exam. 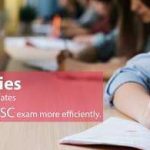 Here are quite a few relevant tips to crack the UPSC Exam with a high rank so that the candidate may join IAS. First of all, let’s focus on the dos i.e., what all needs to be done for the sake of UPSC Exam Preparation in an almost flawless manner. One must not forget that you have to beat the toughest of the tough competition for it might be more difficult to clear the civil Services Exam and join IAS, the most prestigious of the cadres than what you might have thought of initially. 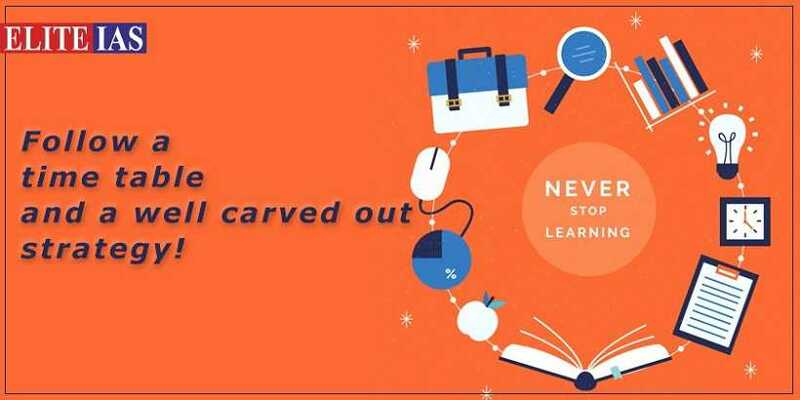 Discover your strengths and weaknesses: Needless to say, first of all, you would be required to go through the UPSC syllabus and find out for yourself as on what subjects and topics you need to spend more of the time. This way, you will get to know about both your strengths as well as weaknesses. Though you would need significant time even to study the subjects that you feel you have a better grip upon, the time required to prepare for the subjects and the topics that you don’t feel very confident of might be even greater. Make a time table: Now that once you are aware of the time requirements i.e., what part of the UPSC syllabus would require how much of the time to prepare for the exam, make a time table. It would help you manage your time effectively. You should not forget that even if you think that have started preparing for the exam earlier than you should have, the vastness of the UPSC syllabus is very likely to prove that you still have to study a lot whereas the time is running out! Chart out a strategy for yourself: You would be required to chart a suitable strategy for yourself. You should figure out for yourself whether you would like to join coaching classes or opt for self study. Both have their own advantages as well as disadvantages. And the decision i.e., making a choice in between the two also varies from person to person. So you have to think of a suitable strategy for yourself. Get access to suitable study material: You should have proper study material, which is more important if you opt for self study. Be careful to pick the books, newspapers and magazines that cover the UPSC syllabus in a suitable way. Be diligent: Once you discover your strengths and weaknesses, make a time table, chart out a strategy and get the suitable study material for yourself, all you have to do now is to begin with the preparation. Prepare for the exam as diligently as you can. Stay focused: Just focus on the exam you are going to crack. Avoid all the distractions. Revise: You should always keep in mind that making frequent revisions is highly important for you may forget what you have been studying unless you keep revising. Assessment is crucial: In case you have joined a coaching centre, the faculty may make a fair assessment of how far you have prepared. Otherwise, you should make self assessment from time to time. You may solve the previous years’ papers and online test series etc. In case of coaching institutes, the mock tests and mock interviews not only help to make an assessment but also enhance the confidence to a great deal. 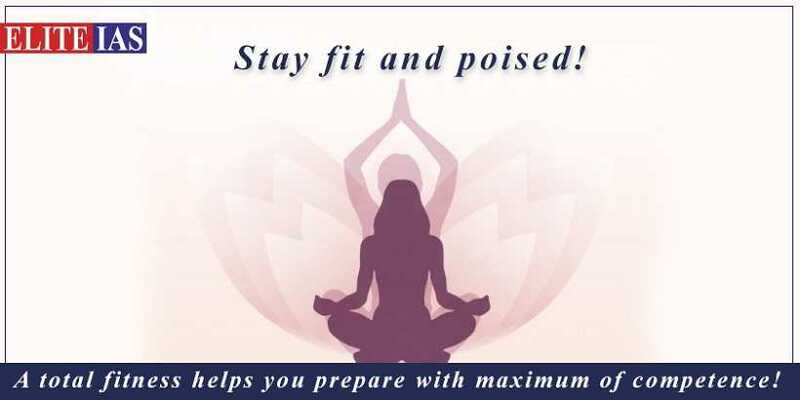 Stay fit: As a sound mind lives in a sound body, take care of your health. Eat well and sleep well besides keeping your mind relaxed. It would help you prepare better. So far, so good as we know what all should be done to crack the UPSC exam. But there are a number of inter-related aspects that need to be checked i.e., you need to keep them under control or better eradicate (altogether) whatever can damage your preparation for the UPSC exam. Do not read if the basics are not clear: It only makes sense to understand the basics of the subject or the topic (in case you don’t) before proceeding further with the preparation for if you do so, it will only result in a waste of time. 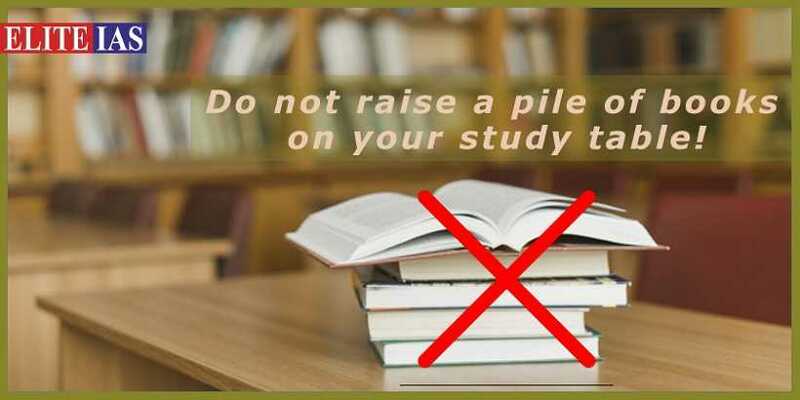 Do not hoard a pile of the study material on your table: It would only be a waste of your wealth and time if you hoard a pile of the books and study material on your table. You might not get any time to study all of them, It only makes sense to select a few books, news papers, magazines etc., that you find suitable and go ahead with the preparation. Do not get diverted from the UPSC syllabus: It is only natural that you may find some of the topics and/or subjects prescribed more interesting than others. But in case you get diverted from the syllabus and begin to read all what is not within the scope of the syllabus, you might be moving far from goal of cracking the UPSC exam. Never forget that you not only have to prepare for the entire syllabus, but also make frequent revisions. So it is best that you manage your time properly by reading what is prescribed by the syllabus so that sufficient time is left with you to make the revisions frequently as well. Do not procrastinate: It is best not to procrastinate. Remember time is running out fast. Solve you doubts and queries at the earliest so that you may revise as well. Consult books, faculty members etc. 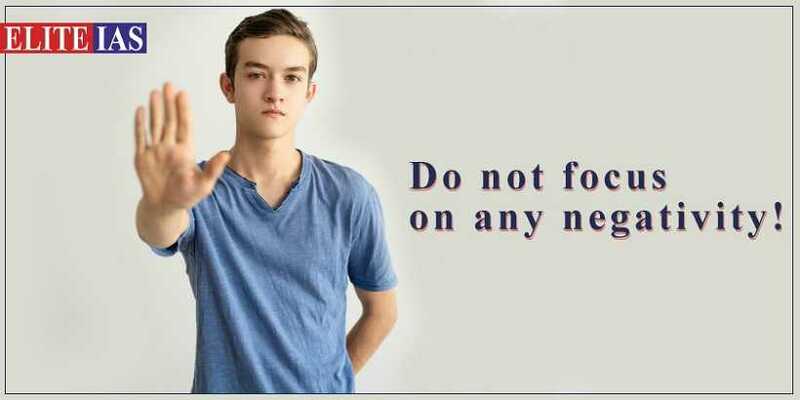 Do not pamper any negativity: Try to move away from any kind of negativity. For example, do not consume more of tea if you think it harms your health. Do not turn yourself into a recluse: Though you must not waste your time, turning into a recluse and avoiding your kith and kin altogether is not going to serve any purpose. Besides a little interaction with those around would give you some time to relax and you would be able to prepare better for the impending exam. Do not avoid to rest and relax: Give yourself sufficient time to sleep for at least 8 hours every day. You cannot prepare for the exam in case you feel like yawning after reading every page of the book that you hold in your hands. Finally, the last, but not the least, it is best to hold your own. There is absolutely no harm in listening to what others say, but it’s you who has to crack the UPSC exam and not those who are advising you. Even you consult a UPSC exam topper, it does not serve any purpose to make the same choices while preparing for the exam that he made unless it is suitable for you. For example, picking up the same optional subject simply because a topper had done so would not serve any purpose in case you have no interest in the subject. In that case, you would not be able to study it well. This is definitely going to effect your score, and in turn, the rank in the exam. And, what’s more, along with your aptitude, it’s attitude that counts. It is best to keep your mind relaxed and be positive. You can think well and take the best of the decisions with a cool and relaxed mind for you may analyze even the most critical of the circumstances by being aware and alert. And these are all the qualities that are required in a good administrator as you aim to crack the UPSC exam with a high rank and join IAS.